Our attorneys represent pedestrians who have been seriously injured by negligent drivers. We have an impressive record of handling cases involving pedestrian accident victims since 1952. If you have been hit by a careless or negligent driver in West Virginia, you are entitled to seek compensation for your lost wages and medical bills, as well as pain and suffering. Our goal is to obtain the maximum financial recovery for each client by conducting a comprehensive analysis of all aspects of the incident. We interview witnesses, reconstruct the accident, obtain police reports, photos and surveillance footage, and any other relevant materials to present the strongest possible case. In many automobile-pedestrian accidents, the injured pedestrian is injured so severely that the victim is unable to respond. Consequently, police reports may be one-sided and only contain the motor vehicle operator’s account. These accounts almost always place blame on the innocent pedestrian. At Angotti & Straface Attorneys at Law L.C., our personal injury legal team has decades of experience collecting the evidence necessary to place liability where it belongs: on the at-fault party. If you ask any motorist who has hit a pedestrian, you are likely to hear a story about how the pedestrian was to blame for the accident. 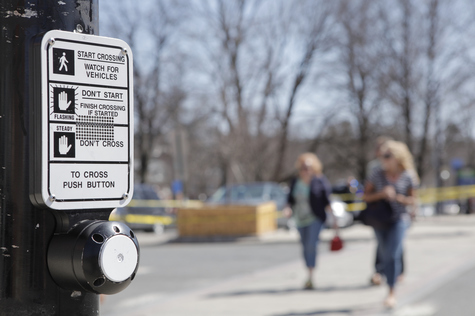 However, pedestrians always have the right-of way at crosswalks and intersections, regardless of where they are located, and whether or not they are marked. Vehicle operators are responsible for watching the road, and if the individual could (or should) have seen you, the motorist is likely liable. If the motorist was driving while distracted or driving under the influence, negligence applies. Our attorneys have extensive experience investigating pedestrian-related accidents and know how the laws and the West Virginia Department of Motor Vehicles regulations specify the duties of motorists toward pedestrians. We will work with you throughout your case to ensure that your voice is heard and seek justice on your behalf. Whether you were struck by a vehicle while crossing a road or parking lot, our compassionate and skilled personal injury legal team will prepare your case with the precision and attention to detail that you deserve. There are no attorney fees unless we secure compensation for your losses. To schedule your free initial consultation in Huntington, Charleston, Parkersburg, Wheeling, Morgantown, or elsewhere in West Virginia, contact Angotti & Straface at: (304) 292-4381.